Thirty five years ago, Rafael Nodal came to the United States in a little boat looking for freedom. Once in the United States, he has embraced the country and the opportunities he had. 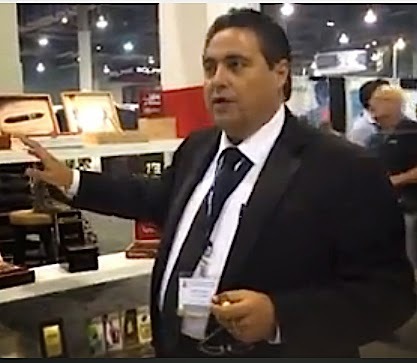 Today Nodal is President of Boutique Blends Cigars and has enjoyed an incredible run of success. With the new regulations on premium cigars announced by the U.S. Food and Drug Administration (FDA), Nodal took to his Facebook page to comment on the regulations. “It seems every day we are losing our freedoms one by one. America is the best country in the world, of course it is not perfect. We must fight every day to keep the freedom that the founders of this great country died for. I am optimistic about the future of this great country because I am optimistic about the people of this country,” commented Nodal. As written, the regulations stand to have a significant impact on companies like Boutique Blends. The company has enjoyed its greatest success with its Aging Room, Swag, and La Boheme brands – all launched post 2007 and would be in the crosshairs of requiring FDA approval in the next three years.